This is the third collection of my flight test articles, which were originally published in ‘Today’s Pilot’ and some other aviation magazines. This book looks at six helicopters of historic interest which are rarely seen and flown even less often by the average helicopter pilot. Included are the Alouette II, Alouette III, Gazelle, Hiller, Westland Wasp, and Hughes 269A. I was lucky enough to have a chance to fly all of these, and each helicopter is described in detail, with an account of my personal experiences of what it is like to fly it for the first time. It is thus much more than, and very different from, a theoretical textbook account. There is also a section on the history of each of the types, and detailed specifications. A photo of each helicopter is included. 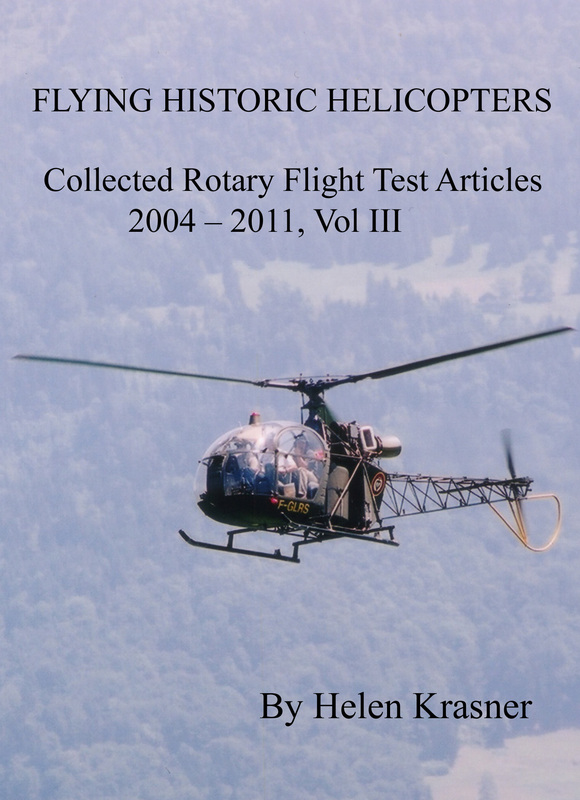 This book is aimed at anyone interested in helicopter flying, whether they already fly helicopters for fun or a career, hope to in the future, fly models, or simply find rotary aircraft fascinating. It would also make an excellent gift for any rotary enthusiast. It contains a great deal of detail, and is over 20,000 words in length. It is obtainable here.